In every website that you visit, you will see that each possesses a unique visual appearance with varying features to enforce an immediate impression and a sense of attraction. These are products created by WordPress Gallery Themes that allow individuals and groups of creative people to produce state-of-the-art online contents for promotional purposes. With millions of WordPress-powered sites, this phenomenal program is constantly producing cutting-edge websites. 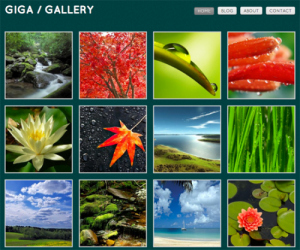 We have the list of top 10 WordPress Gallery Themes that are globally recognized to help you. Navigating the world of WordPress could be overwhelming yet worth the experience. Each has something to offer that meets your needs. Since there are tons of widely-used programs, here are the top 10 themes that you can check to help you showcase your goods. 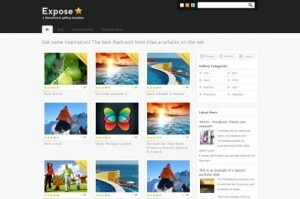 The Expose Gallery WordPress theme is designed basically with 3 Skins, suited for personal portfolios and other gallery sites. 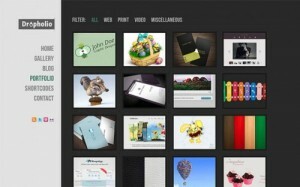 It’s a CSS and Showcase Gallery template that has jQuery display switch intended for gallery images. It has also shortcuts, additional custom widgets and plugins included. 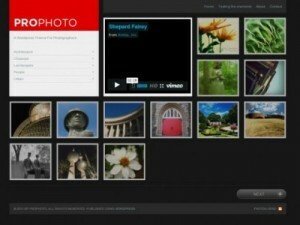 It can even support videos and has an Ajax Contact form. 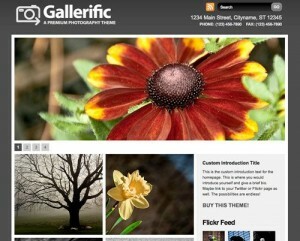 Gallerific, with its new design and updated version, is the perfect theme for photographers. It has a custom-built homepage slider, 4 custom and unique widgets, custom post type for building galleries, post formats that are supported, tons of CSS3/HTML5 goodies, as well as jQuery-powered animation and light box and other features. It’s completely an all-in-one WordPress theme. 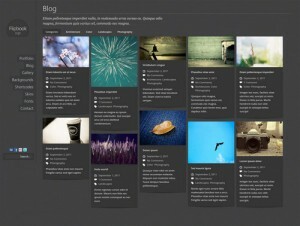 The Dropholio WordPress Portfolio and Blog Template possess innovative features such as unique gallery, translation ready, dark & light versions, unlimited sidebars, 44 short codes, 19 heading fonts, and other customizable options. For simple yet navigable themes, the templates are made clean with minimalist designs. With a 2-color variation theme (bright & dark), the Photo Nexus WordPress gallery is the perfect template for those who want to publish a self-managed gallery that includes photos, artworks, as well as designs. Its features include internationalized theme, WordPress MU compatible, photo gallery slideshows, Google fonts, blog sidebar, short codes, dynamic image resizing, and a helpful guide. It has a known minimalistic yet modern design for you to focus on your work and goals. Flipbook is the perfect premium WordPress theme for those who want to showcase customized portfolios, create unique galleries, or for who simply want to run blog sites. It has a 2 in 1 feature of dark and light and 5 custom cufon fonts according to your needs. You can do customization in any post, portfolio item, Vimeo video, as well as html5 video through its custom full screen backgrounds. It also has 9 widgets and 20 short codes with documents containing videos for guide. 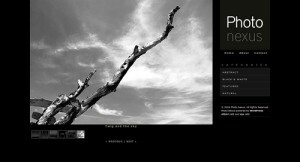 WP ProPhoto is the dream theme of photographers. It has a clean, rich and innovative theme design that matches WordPress installations and geared ProPhoto for other gallery type sites. It’s very convenient to navigate and use through its customizable features. Its key features are 2-column tables layouts, jQuery lightbox, dynamic image resizing, and are compatible with major browsers. It also has slick jQuery tool tips, and subtle jQuery thumbnail fades. Giga Gallery WordPress theme best works for photographers and artists to showcase their finest products, items, photos, and screenshots in a unique and innovative manner. It has 10 admin-switchable color schemes, 9 custom short codes, 3 simple yet attractive page templates, custom shortcuts, Fancybox, free fonts, @font space, and 5-layered PSD files to meet your designing needs. Though Galeria is a single page WordPress theme, it provides suitable use for anyone who wants to showcase aesthetic works. 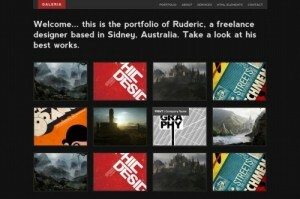 This is perfect for photographers, graphic programmers, as well as Web designers. It has key features of 2 variations; the dark and light and 2 portfolio options, including Gallery and Slider that uses 9 transition effects. For faster results, it has added widget-ready features with custom short codes. WDS is the main front WordPress theme for those who want to build a WordPress site with amazing functionality. 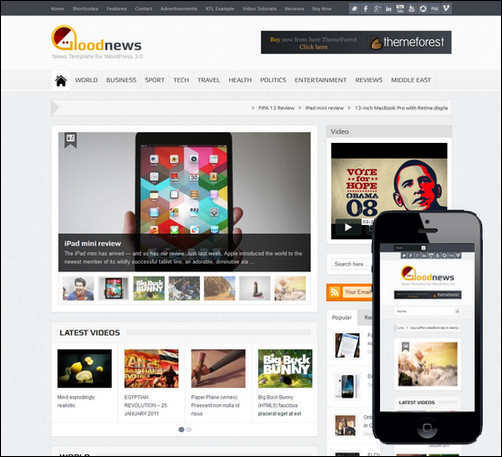 This WordPress theme best works in running a website design showcase in a timely manner. Its core features include a front-end submission form, contact form, rating system, color palette generator, 4 color styles, text short codes, and PSD files that are fully layered. 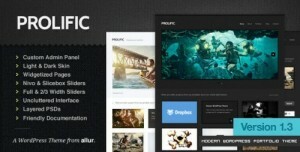 From all the exceptional quality WordPress themes, Prolific tops it all. It’s uncluttered, modern, and with tons of options. Using this theme gives you the option of customizing an entire interface without losing too much time. It showcases options for any of your portfolio work through its main skins (light and dark) that are highly customizable. It has over 25 powerful short codes that are organized in tabbed model, 15 Google serif and sans serif fonts. It also has 4 sliders that include a full-width slider, Nivo slider, category post slider, and the modernistic 3d Slice Box Slider. 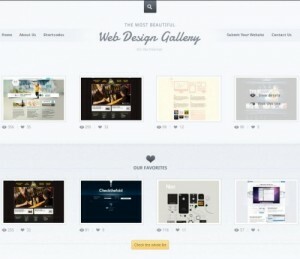 Why Choose These Top 10 WordPress Gallery Themes? After knowing the key the advantages and usability that you can get from these top 10 WordPress Gallery Themes, which one best suits your needs? 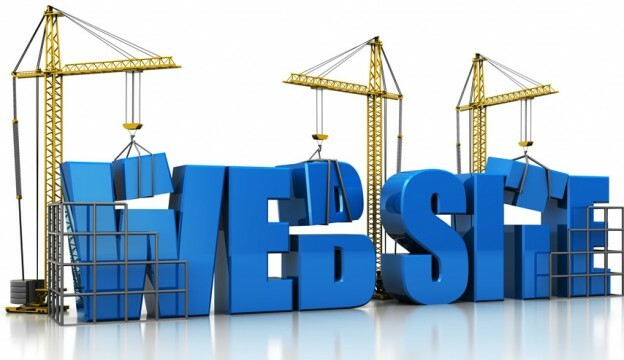 There are lots of options that you can make depending on the goal of your website. But before you choose the theme to use, you should check first each element to ensure the functionality and effectiveness of your website. You can check if the theme has flexible layouts and easy to use templates, beautiful typography with supported custom fonts, and short codes that are important for the styling of contents. You can also weigh the theme’s quality through its innovative ways in displaying the visual contents, up-to-date and clean semantic code, and should be mobile-friendly. Whether you’re a simpler blogger, online marketer, or website enhancer, these WordPress themes are your tools in creating state-of-the-art website.